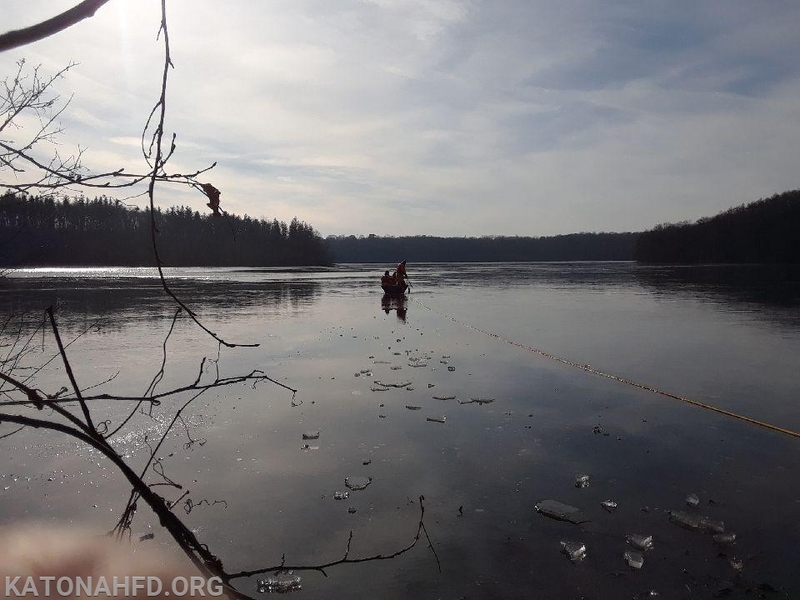 Earlier this afternoon, Katonah Fire Department was dispatched on a Good Intent Call to assist the New York Department of Environmental Conservation with getting a deer off a block of ice in the middle of the reservoir bordering Route 35. 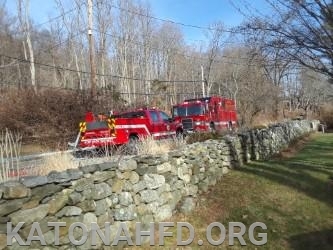 KFD's Rescue 17, Utility 8 with the row boat, and Engine 117 responded to the area of Route 35 and Old Cross River Road. Upon arrival, units located the deer approximately 100 yards off the shoreline. 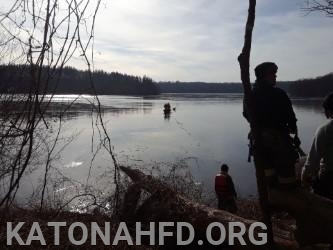 Using drysuits and the row boat, KFD members were able to get out to the trapped deer and effect a successful rescue. 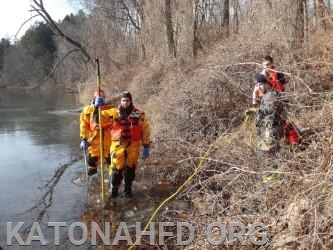 The deer was brought to shore alive and turned over to the care of DEC Police. 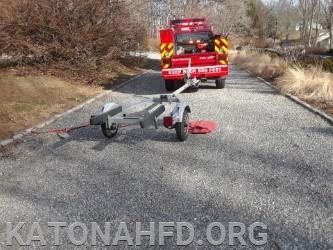 Units were operating for approximately an hour.